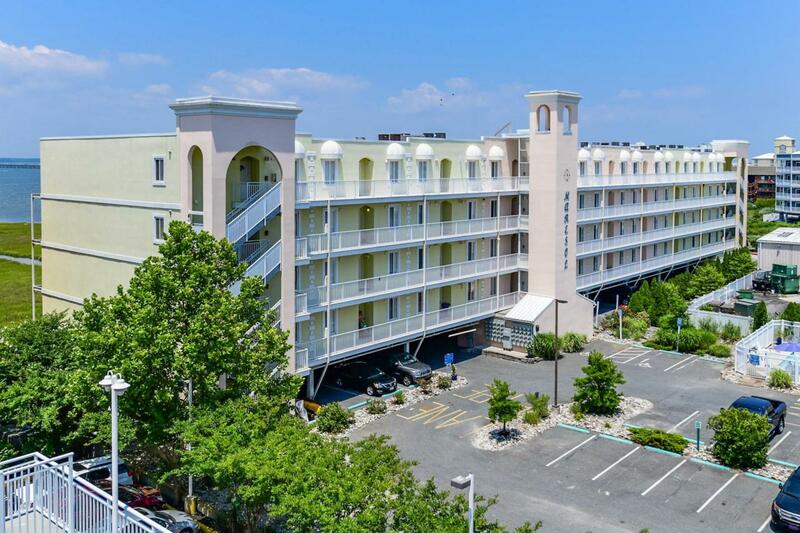 Welcome to Maresol - This direct bay front mid-rise condominium with panoramic views, gorgeous Ocean City Sunsets and a touch of ''Southern Italian'' design is located Mid-Town near restaurants and traffic signal with cross walk to the ocean side. Top floor unit features granite counters, tile floors in main living area and baths. There are 9' ceilings with crown molding, gas fireplace, bay front balcony and bay front master bedroom which includes an en-suite bath featuring a whirlpool tub, over-sized vanity, separate shower and linen closet. There is a laundry/utility room in the unit and it is being sold fully furnished with all appliances. Amenities include an in-ground pool, elevator and two parking spaces. What are you waiting for? Now is the Time to Buy!